Federal Government Continues to Chase Its Tail in the Bundy Trials | RANGEfire! Unlike the Oregon Standoff case, where the vast majority of defendants were released from pre-trial custody, in the Nevada case (which many consider to be an even weaker government case than Oregon), although only six defendants are in trial right now, well over a year later, with no trial date scheduled for the remaining Nevada defendants, they are all still in custoy in Nevada. Now, the government is starting to shuffle some of the defendants back to Portland to testify in the second Oregon Standoff Trial for four “lesser” defendants scheduled to start today. According to Maxine Bernstein and OregonLive, Defense lawyers for the four Oregon standoff defendants set for trial this week want Pete Santilli, who awaits prosecution in Nevada, to be flown to Oregon to testify on their behalf and to impeach another co-defendant, Blaine Cooper, now expected to be a government witness. Jury selection starts Tuesday morning for the remaining four defendants accused of federal conspiracy, weapons and depredation of government property charges stemming from the 41-day seizure of the Malheur National Wildlife Refuge last winter. U.S. District Judge Anna J. Brown already has issued orders for occupation leaders Ammon Bundy, who was acquitted of all charges, and Ryan Payne, who has pleaded guilty to a conspiracy charge, to be flown from Nevada to Oregon to testify for the defense. The defendants’ request for Santilli was filed on Sunday, after defendants learned that Cooper, who pleaded guilty to the conspiracy charge in the refuge case last summer, is expected to testify for the prosecution. The defense team estimated that Santilli’s testimony would last about half a day, and the lawyers have requested he be transferred to Oregon in early March. Santilli has agreed to testify, as long as his lawyer in Nevada can be present in court with him. Both Santilli and Cooper are in custody in Nevada. Santilli is awaiting trial in connection with the April 2014 armed standoff with Bureau of Land Management officers near the Bundy Ranch in Bunkerville, Nevada. Cooper, of Humboldt, Arizona, in August pleaded guilty to conspiracy and assault on a federal officer in the Nevada case, and is set to be sentenced in mid-March. Prosecutors are expected to recommend a six-year sentence, but he can argue for less time. In the Oregon refuge takeover case, 26 people were indicted on federal conspiracy, weapons and other charges stemming from the occupation of the federal wildlife sanctuary outside of Burns in eastern Oregon. Seven people were acquitted of the charges after a five-week trial in Portland last fall. Eleven people have pleaded guilty to a conspiracy charge, and three others have pleaded guilty to a misdemeanor trespassing charge. Santilli had all charges dismissed against him on the eve of the fall trial. He never stayed overnight at the federal wildlife refuge, and his defense attorney in Oregon argued that much of the material he broadcast on his YouTube channel was protected speech under the First Amendment. Cooper was part of the first convoy of people to drive to the refuge in Harney County on Jan. 2 from a demonstration in Burns, where he was protesting the return to federal prison of father and son ranchers Dwight Hammond Jr. and Steven Hammond. 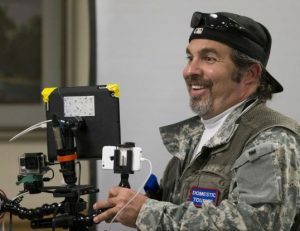 Cooper, who has registered a film company called Third Watch Media, carried a camera while co-defendants armed with firearms cleared the refuge buildings that day, a prosecutor said at his plea hearing. Cooper also was seen driving government trucks on the refuge. On Jan. 3, Cooper appeared on a video with occupation leader Ammon Bundy, in which Bundy promised to make the refuge a base for patriots to live and stay for several years, according to prosecutors. 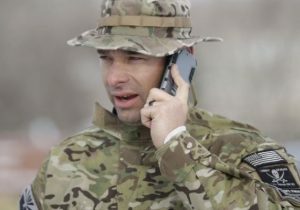 Cooper introduced himself on the video, and urged those who come to the refuge to, “Bring your arms!” Cooper left the refuge on Jan. 26 or 27, and was arrested in Utah on Feb. 11. In the Nevada case, a Facebook exchange Cooper had with Santilli on April 8, 2014, was cited in court documents, in which Cooper wrote to Santilli that it was time to stop “all this huffing and puffing” over the microphones and “go down and do what we got to do” in Nevada. Prosecutors in Nevada described Cooper as a mid-level leader and organizer in the 2014 standoff there.